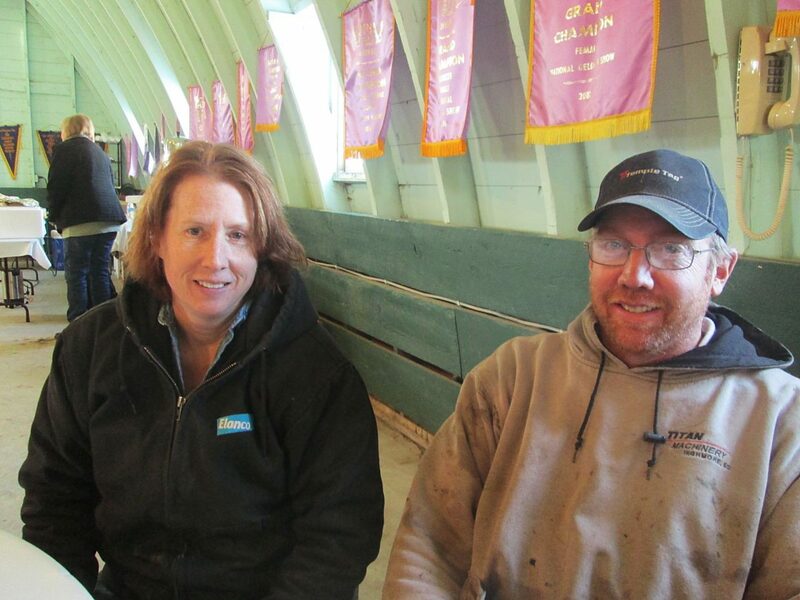 Jennifer Poindexter-Runge and Jay Poindexter, Ree Heights, South Dakota, bought 11 bulls. 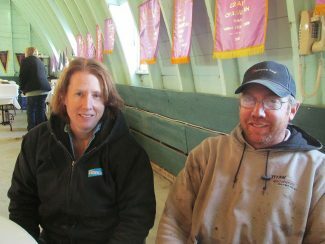 The whole crew at Eagle Pass Ranch presented an outstanding set of bulls and heifers for their annual production sale. This was a fantastic sale, with a huge crowd, and many bidders buying several bulls. Eagle Pass Ranch furnished the whole crowd with a delicious steak dinner before the sale. Lot 94 for $85,000, EGL Firesteel 103F (G A R Sure Fire x MR NLC Upgrade U8676), sold to Lazy C Diamond Simmental Ranch – Kintyre, North Dakota, C Diamond Ranch – Dawson, North Dakota, Hook Farms – Tracy, Minnesota, Clear Springs Cattle Company – Starbuck, Minnesota, Schooley Cattle – Bloomfield, Iowa, and J/C Simmentals – Clare, Michigan (Black SimAngus). Lot 100 for $19,000, EGL Firesteel 116F (G A R Sure Fire x MR NLC Upgrade U8676), sold to Gibbs Farms – Ranburne, Alabama (Black SimAngus). Lot 101 for $12,500, EGL Firesteel 111F (G A R Sure Fire x MR NLC Upgrade U8676), sold to All Beef and ABS Global – DeForest, Wisconsin (Black SimAngus). Lot 102 for $12,500, EGL Firesteel 115F (G A R Sure Fire x MR NLC Upgrade U867), sold to Hamilton Farms – Hitchcock, South Dakota (Black SimAngus). Lot 98 for $12,000, EGL Firesteel 110F (G A R Sure Fire x MR NLC Upgrade U8676), sold to Werning Cattle Company – Emery, South Dakota (Black SimAngus). Lot 1 for $11,000, EGL Forum F412 (EGL Game Changer D136 x Wingman 639T), sold to Robert and Jeremy Haselhorst – Mansfield, South Dakota (Black Balancer).